R ep. John Szoka, who lives in Fayetteville, but is originally from Ohio, was present during a pivotal moment in modern environmental history. “I remember when the Cuyahoga River burned” in 1969, Szoka, a three-term Republican, told the NC Energy Policy Council this week. The result of pollution, the blaze ushered in a new era of environmentalism, including the creation of the EPA. Considering a major river ignited in his home state, Szoka nonetheless has a conservative-leaning environmental history. For example, he supported a measure that would have wrestled control from local governments to regulate the cutting of trees for the placement of billboards. 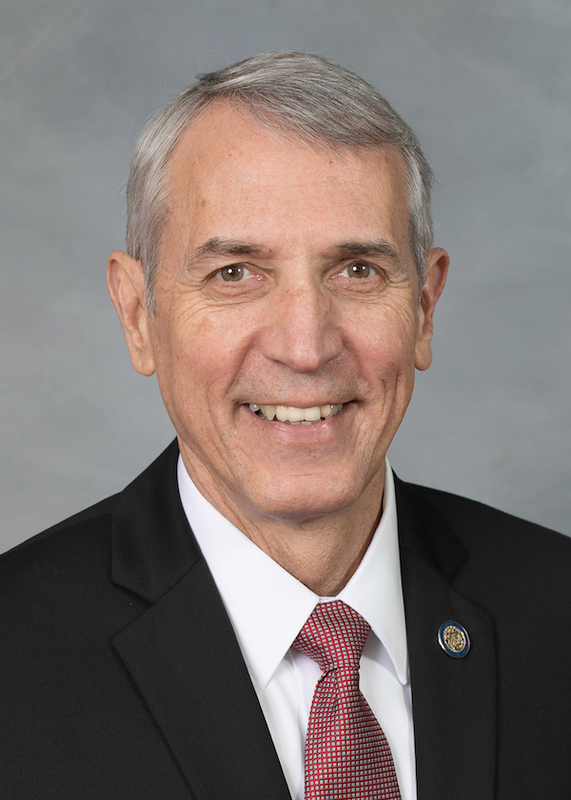 But he is interesting in solar energy, and after failing to advance renewables legislation in the 2015-2016 session (third-party solar energy sales were unpalatable for Duke) he was the leading co-sponsor on House Bill 589: hard-fought, flawed, fast-tracked, but as-good-as-we’re-going-to-get-under-the-circumstances legislation that could further spur the growth of solar power and imposes an 18-month moratorium on wind energy. It is now law. The NC Energy Policy Council is an appointed board operating under the auspices of the NC Department of Environmental Quality. Its members heard from Szoka and the special interest groups that helped craft the legislation, which provided insight into how most of the bill was made — and how it nearly failed. At one point in May, nine months’ of talks among clean power groups and Duke Energy had stalled. The river, so to speak, was about to catch fire. States have leeway on how to implement PURPA (the Public Utility Regulatory Policies Act), and HB 589 changed how Duke buys renewable energy. Now solar companies have to bid on the price they’ll sell power for — up to 80 megawatts — and the contracts run for 10 years instead of 15. Fixed-price contracts, previously available to power generators up to 5 megawatts, will now be offered only to companies up to 1 megawatt. However, the bidding process could also foreclose on opportunities for start-ups in that 1-megawatt to 5-megawatt range that can’t compete with larger, more established companies. “Duke achieved its goal of PURPA reform,” said Chris Carmody, executive director of North Carolina Clean Energy Business Alliance. “Now we need a functioning queue, a level playing field and transparency.” The Charlotte Business Journal reported earlier this year that as many as 500 projects are in line to be interconnected to Duke Energy’s grid. At least two companies have filed complaints with the state utilities commission alleging Duke is moving too slowly in processing the projects. Still, the bill does throw a bone to the rooftop solar industry. While commercial and industrial projects have flourished, the small, residential market has been decimated since the legislature allowed a state tax credit to expire in 2015. “We needed to open up that market and throw them a lifeline,” Ledford said. Missing from the hour-long conversation was any discussion of the wind energy moratorium. Sen. Harry Brown muscled that language — calling for a four-year hiatus — into the bill at the last minute, which threatened to derail the entire legislation. In fraught 11th-hour conference committee meetings, the House and Senate compromised on an 18-month moratorium.